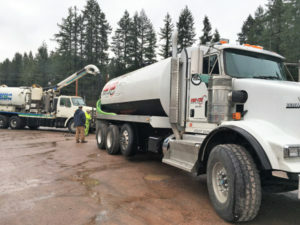 We are a full service septic tank company, providing more than just a basic septic tank pumping service. We ensure that all waste is emptied into our trucks, disposed of properly, and that your tank is in tip-top shape before we leave. Don’t worry about overpaying, either. We always charge reasonable rates for septic tank pumping. Don’t hesitate to call us today if you recently purchased an older home with an older septic tank, or if you just can’t remember the last time you called us for septic tank cleaning. We can let you know how often your tank should be cleaned, based on its size and age. 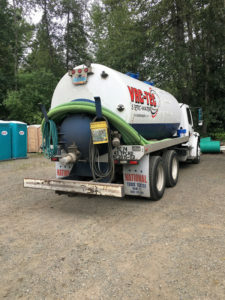 On top of that, we can also provide septic inspection to ensure that nothing will go wrong during or after your septic tank cleaning in Tacoma. We don’t take our septic pumping job lightly. In fact, we always promise 100% customer satisfaction and never leave until you’re happy with the service we’ve provided. Septic pumping doesn’t have to cost an arm and a leg or be a hassle. Let us show you the difference. 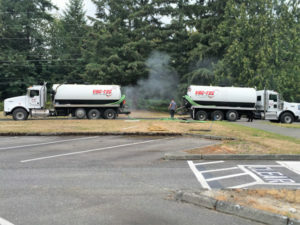 Septic tank pumping and septic tank cleaning should only be trusted by the pros. Call the pros at Vac-Tec, LLC at Tacoma – (253) 777-4887 Seattle – (206) 339-0039 Olympia – (360) 338-6686 North Dakota – (701) 566-0045 to schedule your appointment today in Tacoma.